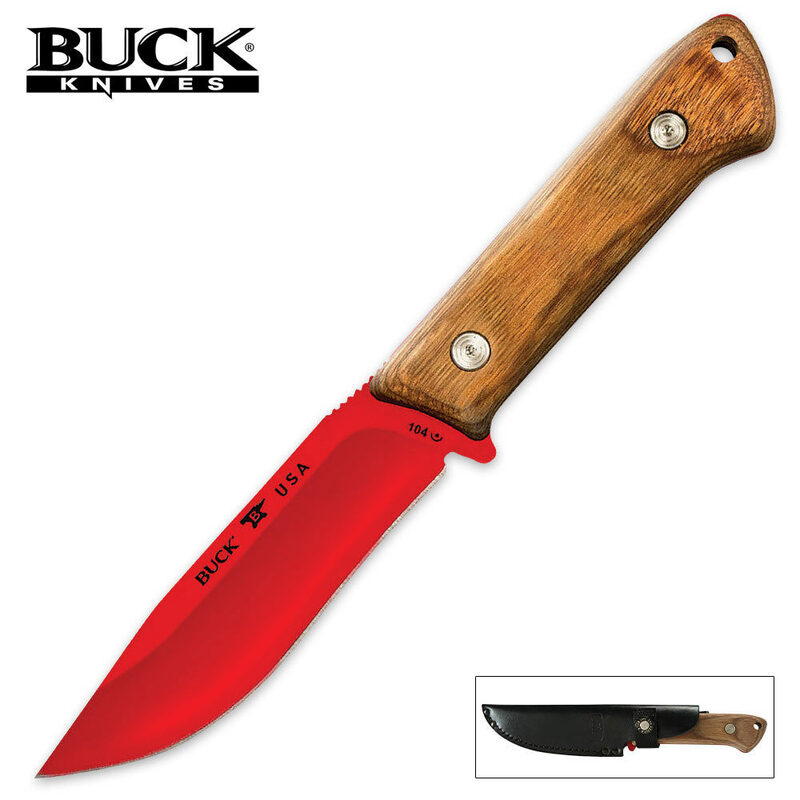 Buck Compadre Camp Knife Fixed Blade | BUDK.com - Knives & Swords At The Lowest Prices! Buck's Compadre camping knife series is designed and engineered for the outdoors enthusiast, offering hefty full-tang construction with Heritage Walnut Dymondwood handles. Each Compadre piece also features a red powder-coated blade that adds style, uniqueness and quick visibility. The Compadre Camp Knife features a 4-1/2" blade with a sharp edge, drop point and jimping on its spine. The handsome Heritage Walnut Dymondwood handle dresses it up and provides a sleek but firm grip complete with a pre-drilled lanyard hole. A genuine leather belt sheath is included. Best of all, the Compadre series is made right here in the U.S.A.